Love's Truck Stop on Thursday, August,16, 2018, in Donna. DONNA — “The Heart of the Valley” displayed its devotion to its only Love’s Wednesday morning. Officials with the city of Donna, which bears the motto “The Heart of the Valley,” welcomed the new Love’s Travel Stop conjoined with the sole Arby’s location in the county by hosting a grand opening. The 11,000-square-foot Love’s, located off Interstate 2 near Hutto Road, is already bustling, having opened on Aug. 9 — three days after local, state and federal officials broke ground on the construction of southbound commercial lanes at the Donna-Rio Bravo International Bridge, where empty semi-trucks will cross into Mexico as soon as June 2019. The Texas Department of Transportation plans to construct State Highway 68 to connect U.S. Highway 281 in Edinburg to Interstate 2, another potential access point to Hutto Road in Donna. Donna ISD students participate in the grand opening of the Love's Truck Stop on Thursday, August,16, 2018, in Donna. Both Donna High school bands along with cheerleaders and dance team entertained the crowd. “They understand the importance of our international bridge,” said Mayor Rick Morales, who later added business investors “know there’s going to be thousands of trucks” making their way through the city. 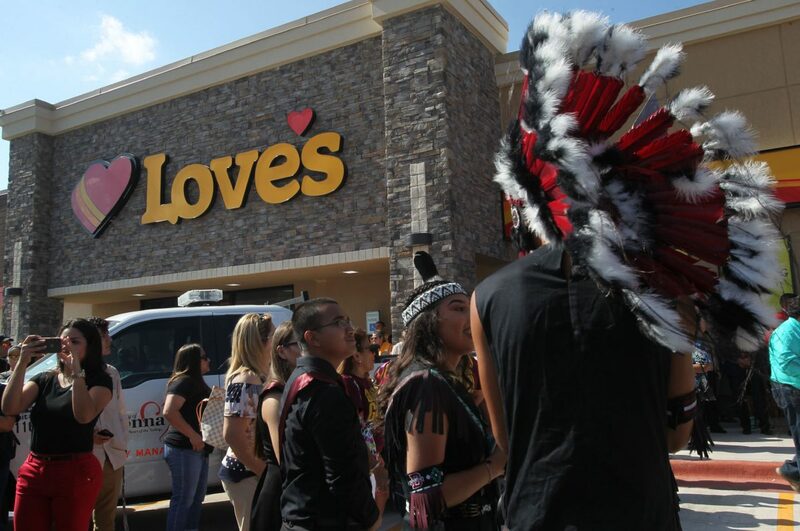 Love’s seems to agree, having chosen Donna as its second location in the Rio Grande Valley. 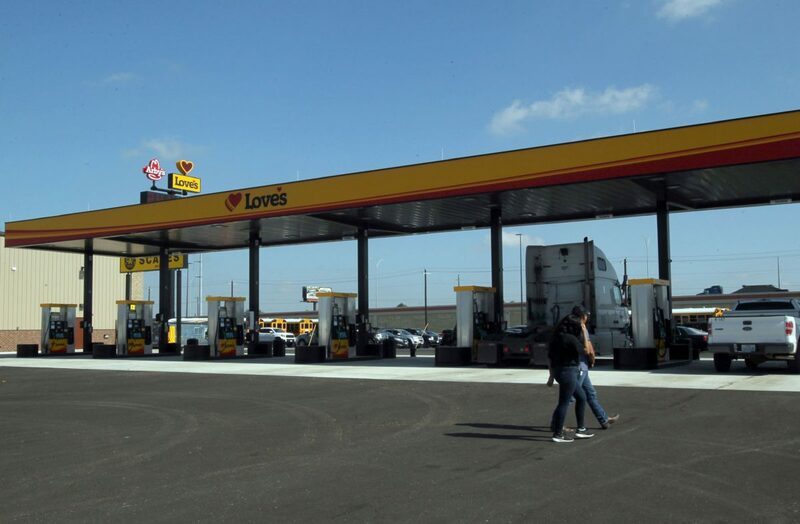 Love’s runs a smaller in size truck stop near U.S. Highway 281 in Edinburg. Love’s, open 24-hours a day, offers diesel and unleaded fuel at its new store. It also offers parking space for up to 94 trucks. For the city, the new business means added sales and property tax revenue as well as 82 new jobs. Love’s approached the city about opening the travel stop, and city officials were “extremely helpful and supportive (in) welcoming Love’s to the community,” according to Noland. The city added drainage infrastructure to the area prior to the construction of Love’s, according to City Manager Carlos Yerena, who said the location of the new business is “perfect” for traffic headed to the bridge.